In reality though, Ylang Song has a lot to offer. Scent wise it's a mix of neroli, rosewood and ylang ylang which combine together to create a lovely calming floral scent which is actually one of my favourite scents of all the bath bombs available at Oxford Street. It's one of those bath bombs that is just absolutely perfect for unwinding after a long stressful hard day. 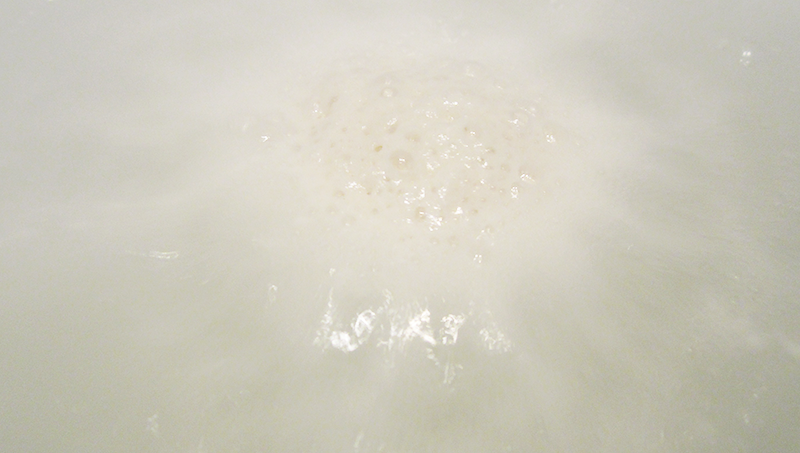 When you drop Ylang Song into your bath it instantly erupts dissolving super quickly, at first only revealing white but suddenly it also starts to spurt out vivid green with beautiful petals. 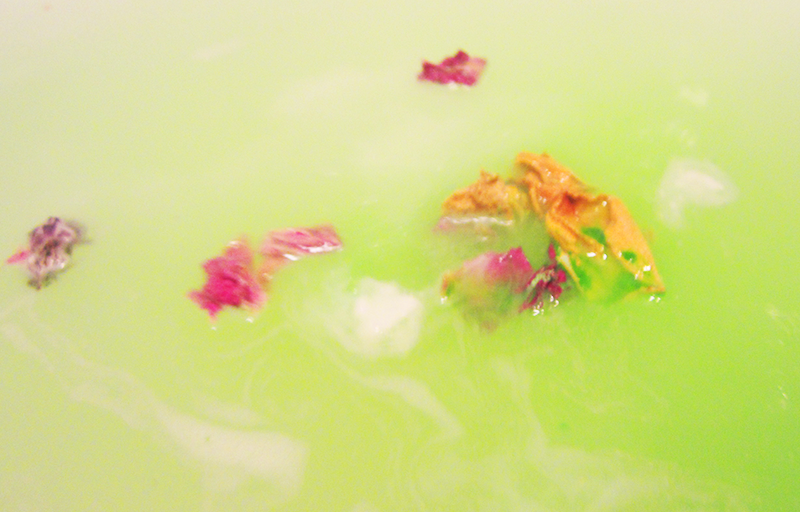 The result is a rather magical looking bath, which reminds me a lot of Rose Queen as the bath ends up just looking so pretty. 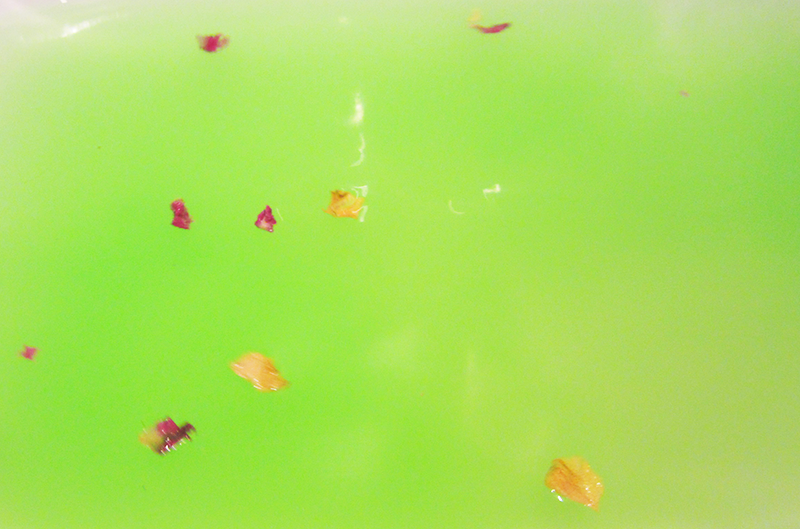 So whilst the dissolving of the actual bath bomb isn't exactly the most stunning, I really love the end result as you'r left with the most vivid green bath with lots of pretty petals. 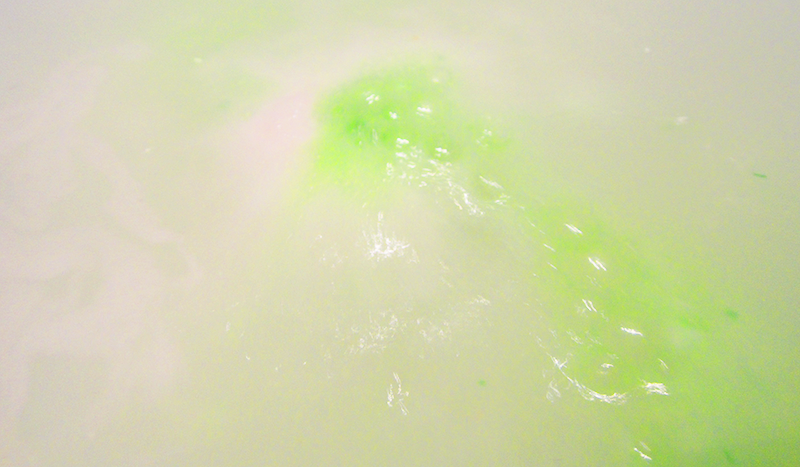 Perhaps the only downside is that the scent doesn't really linger on your skin afterwards, but this bath bomb does make the water lovely and soft so I can't really complain! Thank you for reading lovelies! If you want to read any of my other Lush reviews (I've done about 40 of them), you can find them all on my beauty reviews page! I'll try and keep the Lush reviews spread out across all my content because I know sometimes on this blog it can be a bit of a Lush overload, and although I love being a Lush blogger, my blog is so much more than that. Lush is one of my interests among many, and I hope that I can be seen as a bit more than, that blogger who really loves Lush because it is one of many things I love writing about. Have an amazing Sunday lovelies and don't forget to leave me a little comment below. This is a gorgeous bath bomb.. I love how simple it appears and then you get the extra surprise of the petals inside. I'm definitely going to have to pay a visit to Lush again soon! Wow the water looks amazing! Sounds like such a wonderful relaxing product. Yeah definitely, its so calming! Oh my goodness! That looks so pretty! I did not expect the green! Looks like the perfect bath bomb for a nice relaxing bath!